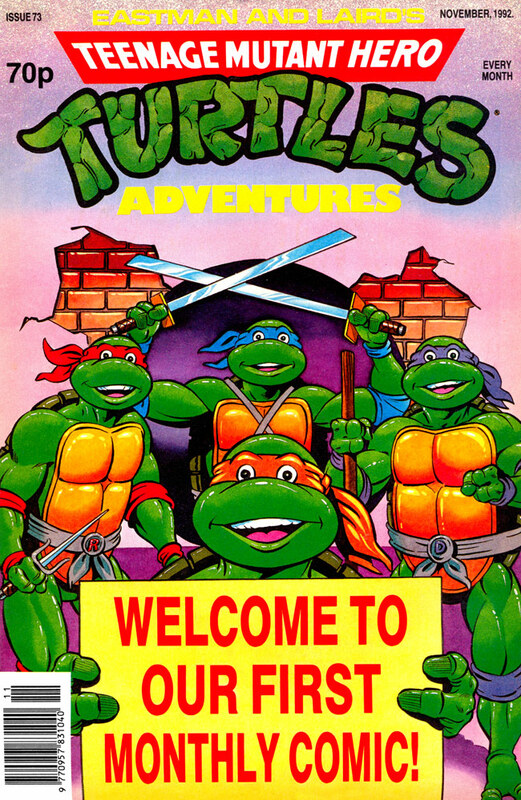 *Reprint of Archie's TMNT Adventures #38 with a new cover by Fleetway in-house artist. *This issue was preceded by TMHT Adventures #72. The series continues in TMHT Adventures #74. 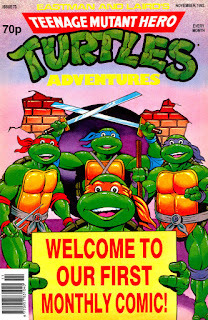 *Beginning with this issue, TMHT Adventures changed publication frequency from every fortnight to monthly. As you can see, fortunes were fading fast for the magazine.